Amtrak service south from Seattle was interrupted on Monday, December 18, 2017, after one of its “Cascades” trains derailed between Tacoma and Olympia sending train cars crashing onto vehicles in the southbound lanes of Interstate 5. News media were reporting at least three fatalities among passengers on the train, plus numerous injuries to passengers and apparently also to some highway travelers. In its live updates, the Seattle Times said that the number of fatalities were at least six, but later revised the number back to three. Over 100 people were sent to hospitals. The train’s engineer and conductor survived the crash. Until Monday, Amtrak trains traveling to and from Seattle from Oregon and points south were routed along the shores of Puget Sound south of Seattle. 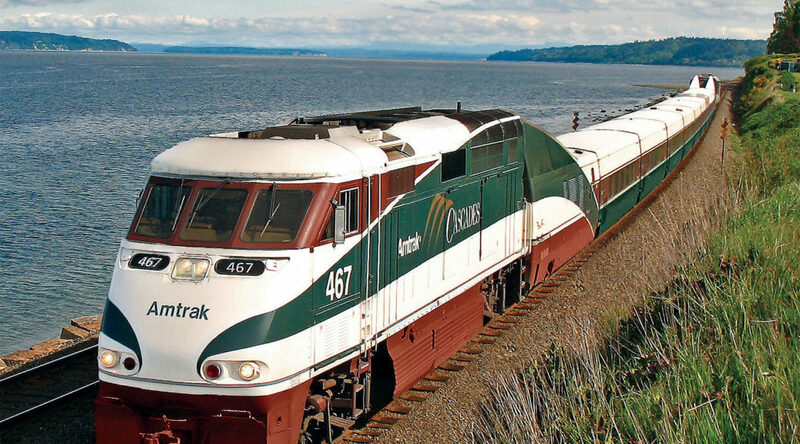 The “Cascades” train derailment happened on a new route to the east of Puget Sound that opened Monday. On Thursday morning, December 21st, the Amtrak Website indicated that with the exception of minor delays of 3 to 5 minutes in the departure time for some trains, southbound trains had left or were expected to leave Seattle on-time. “Until further notice, all Cascades and Coast Starlight Service trains will detour between Olympia-Lacey -Tacoma, operating out of the original Tacoma Station located at 1001 Puyallup Avenue, Tacoma, WA 98421. Please note that customers traveling on this detour may experience a 10 to 15-minute delay. I-5 southbound lanes closed after the train derailment have now all been reopened. “As of 9:47 p.m. Wednesday, Dec. 20, all lanes of southbound I-5 at Mounts Road (milepost 116) have reopened to traffic. “Crews were able to complete remaining work activities in the right lane and reopen that third and final lane ahead of schedule. “The Mounts Road on-ramp to southbound I-5 has also reopened. I hadn’t ever planned to go there, nor did I know anything about the place that would have piqued my interest in making a visit, but an act of travel providence sent my wife and I from our home on the West Coast to the East Coast and dropped us out of the sky on onto its doorstep. The doorstep of Providence, Rhode Island, that is. And here’s how we, and you following in our footsteps, can spend a perfectly providential day in the capital city of the smallest of the original thirteen United States. 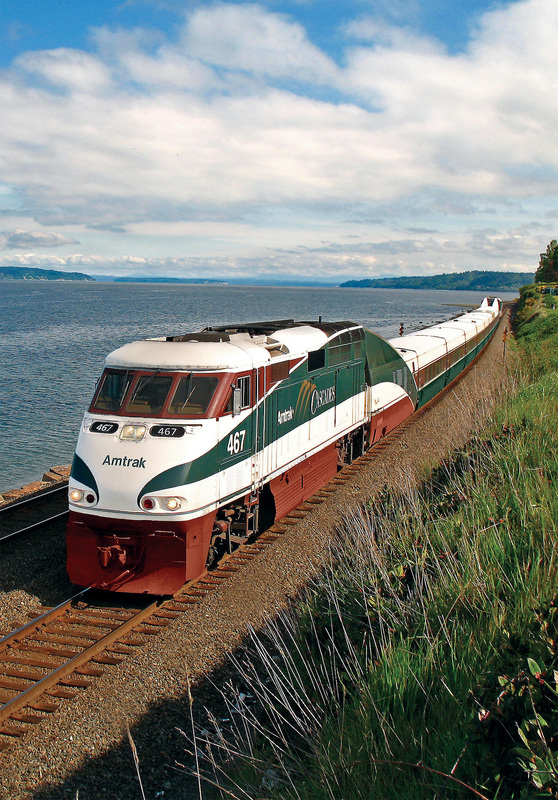 Amtrak: A Time and Cost Competitive Mode of Travel? I’ve ridden trains back and forth across Europe. Doing so has been easy, comfortable, and reasonably affordable. But train travel in the U.S. is problematic. Few passengers trains run to few places all too few times a day or week. And all are operated by Amtrak. Nevertheless, sometimes you do have the option of taking the train as well as driving or flying, so I sat down to figure out which was best for visiting one of my favorite destinations.